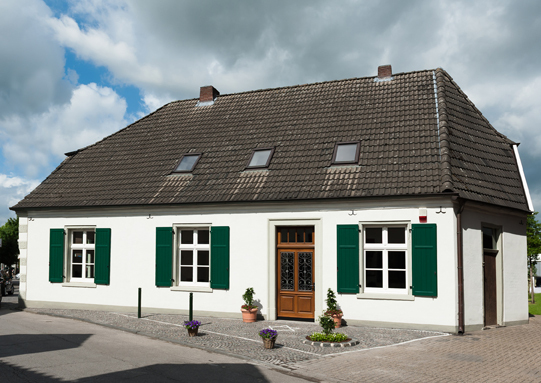 The Jewish Humberg family lived in the house at No. 13 Hohe Strasse in Dingden until 1941. They ran a butchery and a retail trader’s. The parents, Rosalia and Abraham, and their seven children were well-regarded members of the village community. But, just as for millions of Jews, the Humberg family became victims of the National Socialists’ systematic discrimination, persecution and murder. Four brothers and sisters were murdered; three were able to emigrate to Canada with their families. The traces of this German family would have been erased by these tragic events if the members of the Heimatverein Dingden e.V. had not taken on the history of the house and its previous occupants.